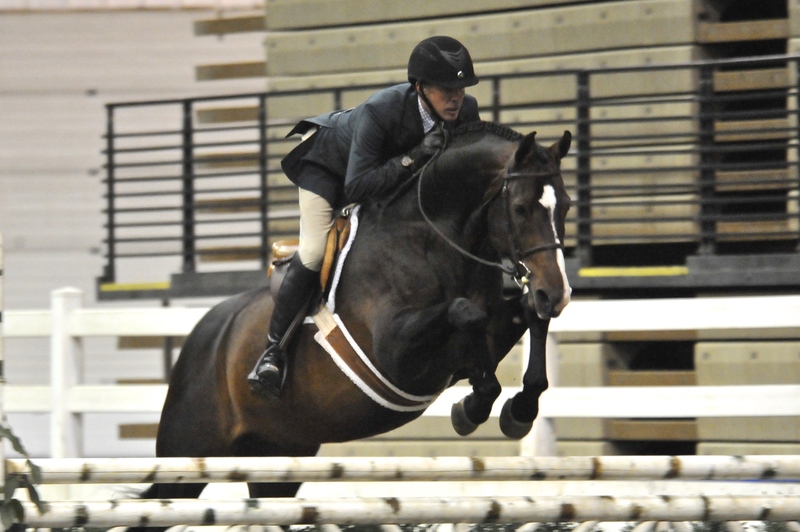 Doug Boyd and Berkley III won the $20,000 American Royal Grand Prix. Photo Merrick Studios. Kansas City, MO – November 8, 2015 – Sapphire Riding Academy dazzled spectators at the American Royal Horse Show in Kansas City, MO, in mid-October. 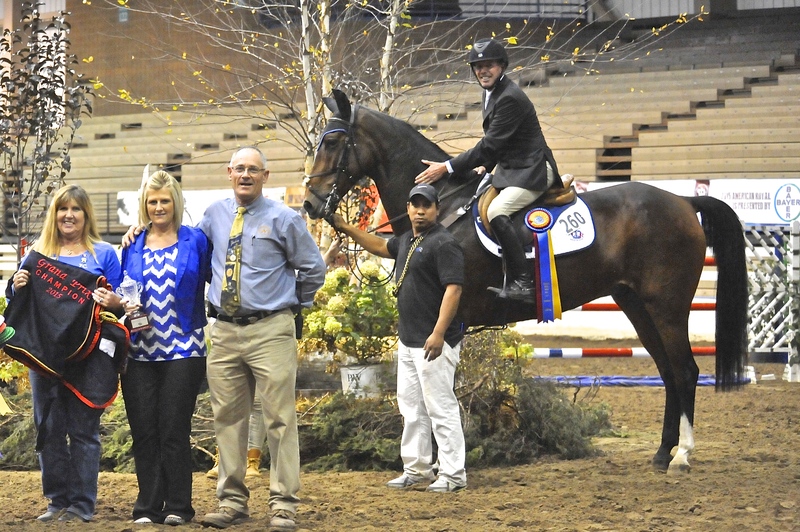 One of the highlights of the show was the $20,000 American Royal Grand Prix, where trainer Doug Boyd rode to the honored top prize with Berkley III, owned by Sapphire Riding Academy. The show draws a large local crowd, partially due to its history and time honored tradition of giving back to the community. Boyd and Berkley III also placed fourth in the $25,000 Roy A. Edwards, Jr. Memorial Grand Prix and seventh in the Open Welcome Stake at the American Royal. The duo was a new pair for 2015, earning top awards in the higher jumper divisions, including second in the $10,000 Welcome Stake at the Showplace Fall Classic. More Sapphire winners at the American Royal Horse Show included Calido's Son, owned by Mimi Rothman, Glencoe, IL, who was Champion in the 3'6" Performance Hunters with Boyd. Pippin, also owned by Mimi Rothman, was Reserve Champion in the American Royal Adult Hunters and Reserve Champion in the Child Adult Modified Hunters with Clara Ciancuillo riding. Calido’s Son was also a new addition to Sapphire this year and won numerous Performance Working Hunter Championships with Boyd and earned top ribbons in several USHJA National Hunter Derbies this season. Boyd plans to spend some time in Florida this winter and possibly St. Louis. They are now accepting new members for their show team. For more information on Sapphire Riding Academy and to see their beautiful facility, please visit their website at www.sapphireridingacademy.com. Like them on Facebook at Sapphire Riding Academy.